Many Frugal Fun Places Below, Find Your Local MD Flea or Farmers Market & Go! If you have arrived directly to this page from the search engines don't miss Frugalicity's Farmers Market Guide where you will find links to other state and country directories as well as lists of useful frugal shopping tips, tricks, secrets, and advice that will help you get the most bang for your buck at your local Maryland greenmarkets. The above guide will also help you to come away with a much better understanding of why buying locally grown organic food is one of the most frugal, eco-friendly, and healthy things a family can do. 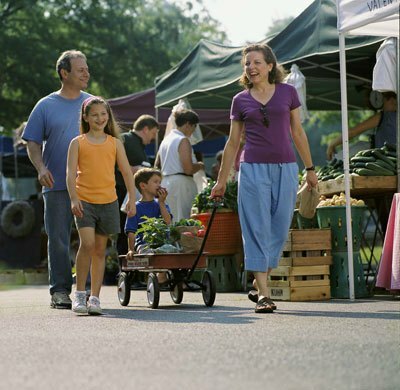 And you'll learn why your local Maryland Farmers' Market is at the top of the list of family-friendly cheap and fun things to do in Maryland. Maryland Farmers Markets ... they do your body (AND the planet) good! So happy hunting my frugal and green MD friends. WIC or "Women, Infants, and Children Program" is a Federal assistance program for postpartum, breastfeeding, or low-income women or infants and children found to be at risk for nutritional deficiency. Your Maryland WIC agency may provide nutrition education, health care referrals, or supplemental food vouchers good at your local Flea or Farmers Market via your state's WIC Farmers Market Nutrition Program. SFMNP or "Senior Farmers Market Nutrition Program" is a Federally funded nutrition program designed to assist low-income senior citizens. Your Maryland SFMNP agency provides qualifying seniors with coupons that can be used at eligible community supported agriculture programs, roadside stands, or Farmers Markets in Maryland for purchase of "fresh, unprocessed, and nutritious fresh-cut herbs, fruits, and vegetables." Of course cash is king at all Maryland Flea Markets and Farmers Markets, so you can't go wrong by bringing plenty of "all-mighty Dollars" with you. But if credit cards are accepted, you have the added benefit of a Federal law which limits your losses due to fraudulent credit card transactions to only $50. And there may also be protection through your credit card company against disputed charges or quality of goods. Something to think about in case you happen upon a big ticket item like furniture, tools, or antiques. So plastic may be the way to go in some cases. Waterfront St. & Fleet St.
Saturday, 9:00 a.m.- 2:00 p.m.
City of Cambridge Parking lot - Academy & Muir Sts. Thursday, 3:30 p.m.- 6:30 p.m.
Wednesday, 3:30 p.m.- 6:30 p.m.
Bay Ave. & 5th St.
Friday, 6:00 p.m.- 9:00 p.m.
Thursday, 3:00 p.m.- 7:00 p.m.
Riva Rd. & Henry S. Truman Pkwy. Sunday, 12:00 noon- 3:00 p.m.
Wednesday, 11:00 a.m.- 2:00 p.m.
Friday, 10:00 a.m.- 1:00 p.m.
Wednesday, 4:00 p.m.- 7:00 p.m.
Wednesday, 9:30 a.m.- 2:00 p.m.
Tuesday, 10:00 a.m.- 2:00 p.m.
Thursday, 10:00 a.m.- 2:00 p.m.
Saturday, 7:00 a.m.- 11:00 a.m.
Tuesday, 9:00 a.m.- 2:00 p.m.
Friday, 10:00 a.m.- 3:00 p.m.
Wednesday, 10:00 a.m.- 3:00 p.m.
Tuesday, 10:00 a.m.- 2:30 p.m.
Saturday, 10:00 a.m. - 2:30 p.m.
Wednesday & Saturday, 7:00 a.m.- 4:00 p.m.
Wednesday, 10:00 a.m.- 1:00 p.m.
Friday, 4:00 p.m.- 7:00 p.m.
Saturday, 9:00 a.m.- 12:30 p.m.
Thursday, 2:00 p.m.- 6:00 p.m.
Sunday, 9:00 a.m.- 1:00 p.m.
Thursday, 9:30 a.m. - 2:00 p.m.
Saturday, 9:30 a.m.- 2:00 p.m.
Thursday, 3:00 p.m.- 6:00 p.m.
Wednesday, 3:00 p.m.- 6:00 p.m.
Franklin St. & 5th Ave.
Tuesday, 8:00 a.m.- 1:00 p.m.
Saturday, 6:30 a.m.- 12:30 p.m.
Saturday, 8:00 a.m.- 1:00 p.m.
Wednesday, 8:00 a.m.- 1:00 p.m.
Friday, 3:00 p.m.- 6:30 p.m.
Tuesday, 11:00 a.m.- 1:30 p.m.
Saturday, 8:00 a.m.- 2:00 p.m.
Friday, 9:30 a.m.- 12:30 p.m.
Thanksgiving Special, Wednesday, 10:00 a.m.- 1:00 p.m.
Sunday, 10:00 a.m.- 2:00 p.m.
Wednesday, 3:30 p.m.- 6:00 p.m.
Saturday, 10:00 a.m.- 12:30 p.m.
Pennington Ave. at N. Washington St.
Saturday, 10:00 a.m.- 2:00 p.m.
Wednesday, 8:00 a.m. - 3:00 p.m.
Tuesday, 9:30 a.m.- 2:00 p.m.
Monday, 4:00 p.m. - 6:30 p.m.
142nd St. & Coastal Hwy. Wednesday, 2:00 p.m.- 6:30 p.m.
Thanksgiving Special, 12:00 noon- 4:00 p.m.
Tuesday, 10:00 a.m.- 3:00 p.m.
Thursday, 1:00 p.m.- 4:30 p.m.
98 South Solomons Island Rd. Prince Frederick Shopping Center - Corner of Rt. 4 & Duke St.
E. Montgomery at Maryland Ave.
Saturday, 8:30 a.m.- 11:30 a.m.
Wednesday, 3:00 p.m.- 7:00 p.m.
Old Town Takoma Park on Laurel Ave.
Saturday, 8:00 a.m.- 11:00 a.m. Between Washington Ave. & York Rd. Thursday, 10:45 a.m.- 3:00 p.m. Parking lot at corner of Allegheny & Washington Ave. Corner of Railroad Ave. & Emerald Hill Ln. Between Veirs Mill Rd. & Georgia Ave.
Sunday, 8:00 a.m.- 1:00 p.m.
Scroll through the list of Farmers Markets in Maryland here. 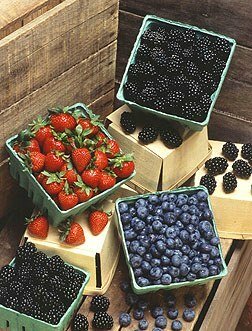 Please Help This Directory of Farmers Markets in MD Come to "Fruition"
With your help, I intend to grow this into the largest Maryland Flea Market and Farmer's Market Directory online. ...or any other type of Maryland public market you would like to see added. With your help, the fruits of our labor will create win/win situations for a lot of other frugal-minded visitors from Maryland who may be searching for cheap and eco-friendly sources of locally-grown fresh produce, organic foods, or other local delicacies and specialties.